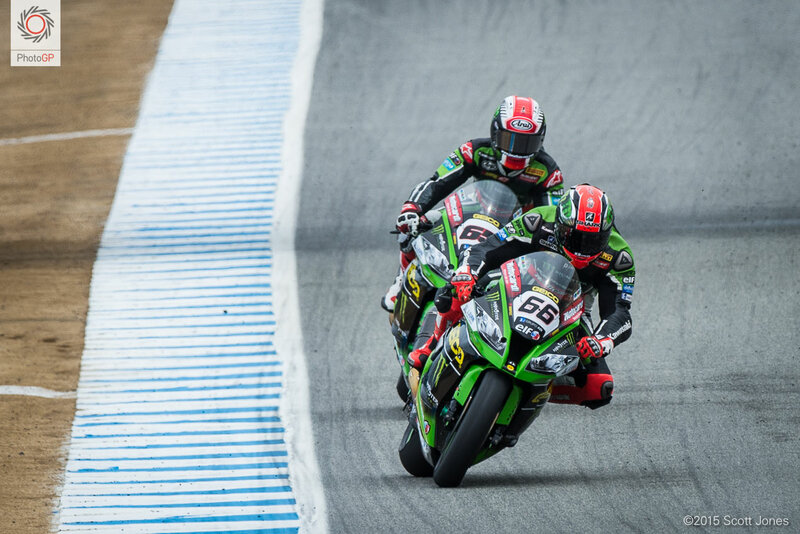 Series leader Jonathan Rea was looking for more points to extend his lead over his teammate, Tom Sykes. 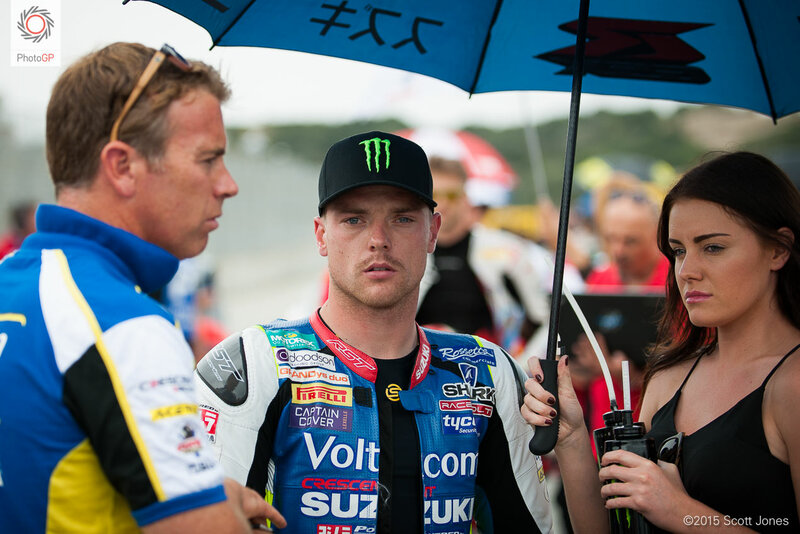 Alex Lowes confers with Voltcom Crescent Suzuki boss Paul Denning. 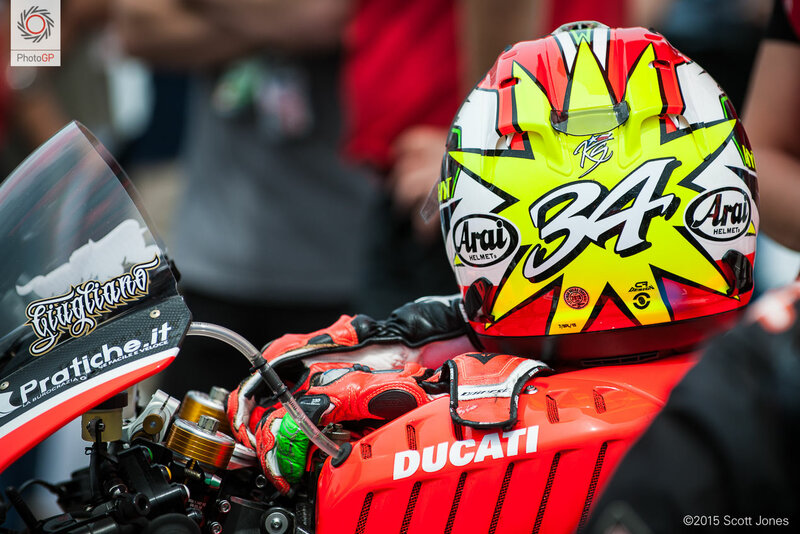 No one in WSBK expresses more Kevin Schwantz love than Davide Giugliano. 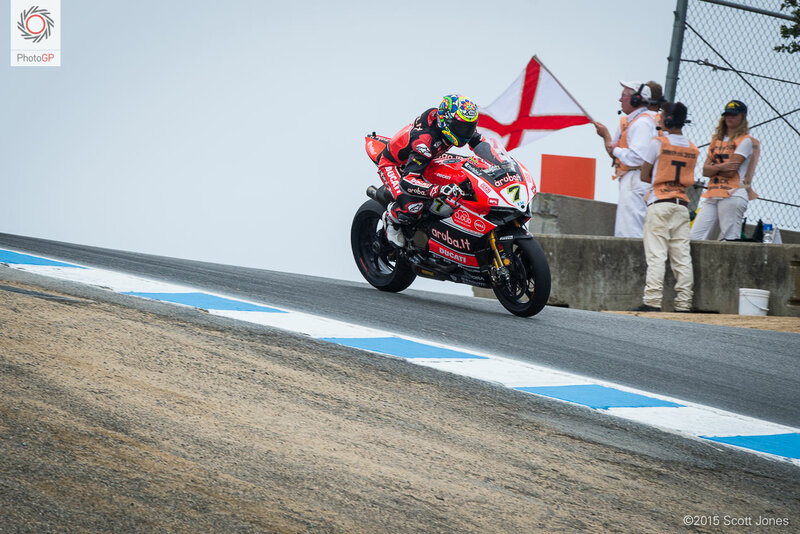 Pole-sitter Chaz Davies made good use of his qualifying position to claim the lead from the first corner. He was simply the fastest rider out there today and led every lap of both races. In spite of qualifying 7th, Niccolo Canepa didn’t get very far in Race 1, technical issues bringing his story to an end on the second lap. In Race 2 he came home in eighth. 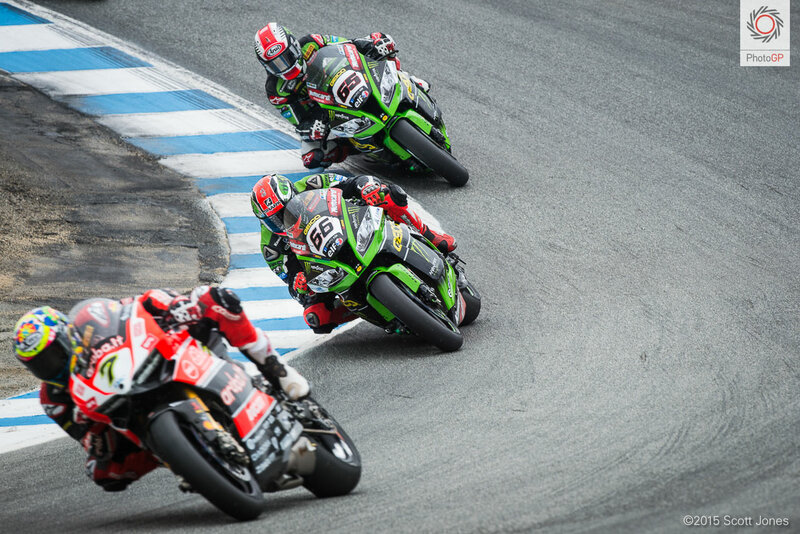 As Davies did a disappearing act at the front, Sykes and Rea battled all day long, with Sykes claiming the mini-victory in each race. 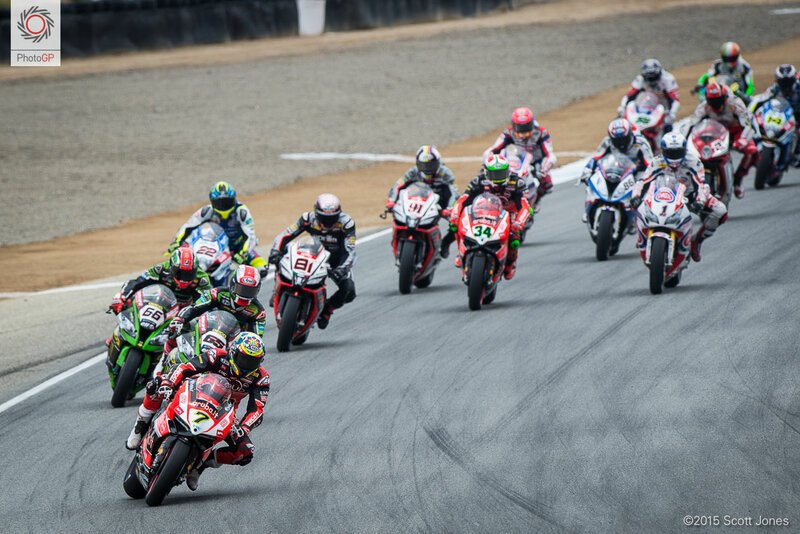 Jordi Torres tried to hold off Giuliano, but eventually gave up the position and finished 5th with Giuliano in 4th, during Race 1. 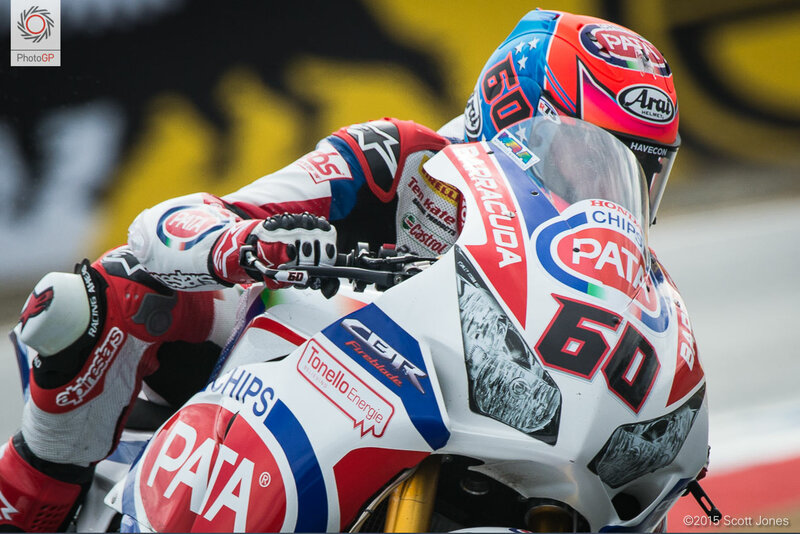 Lowes held off Sylvain Guintoli to claim 6th. 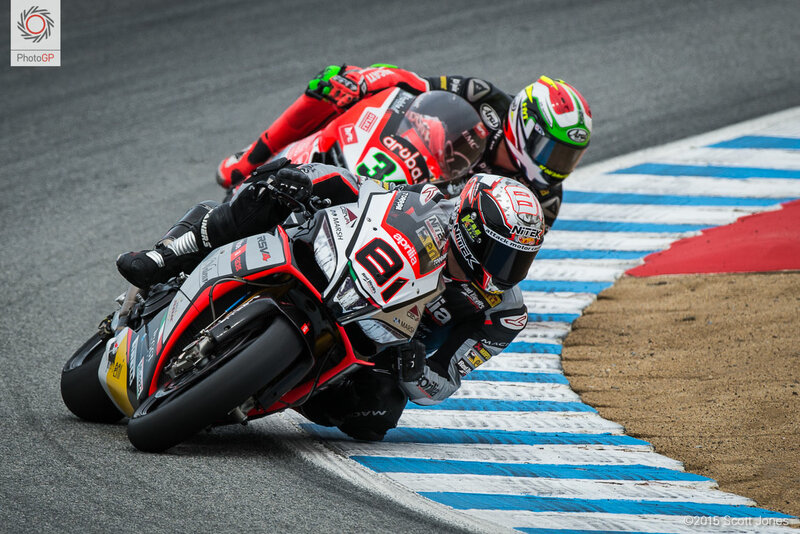 Race 2 was like déjà vu all over again with Davies checking out and never looking back. 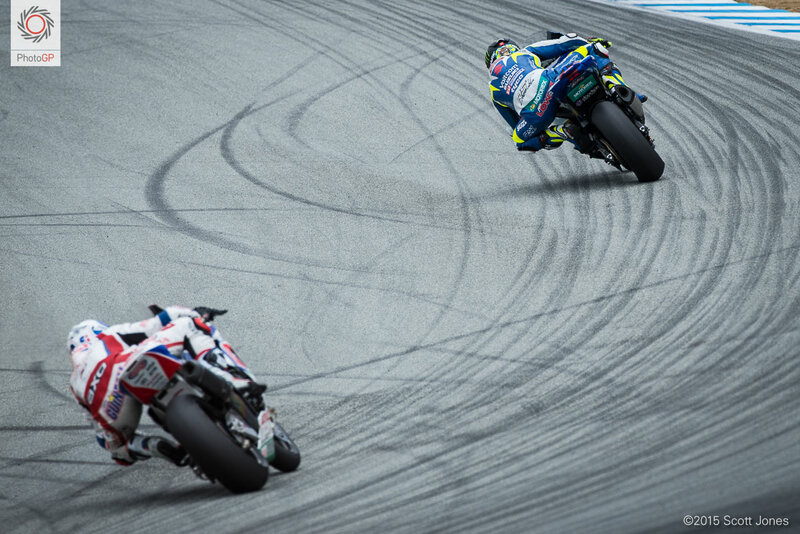 One rider who did look back was Lowes, who said his front tire felt like it had suffered a puncture. He gambled on the possibility of rain and pitted to switch to rain tires. 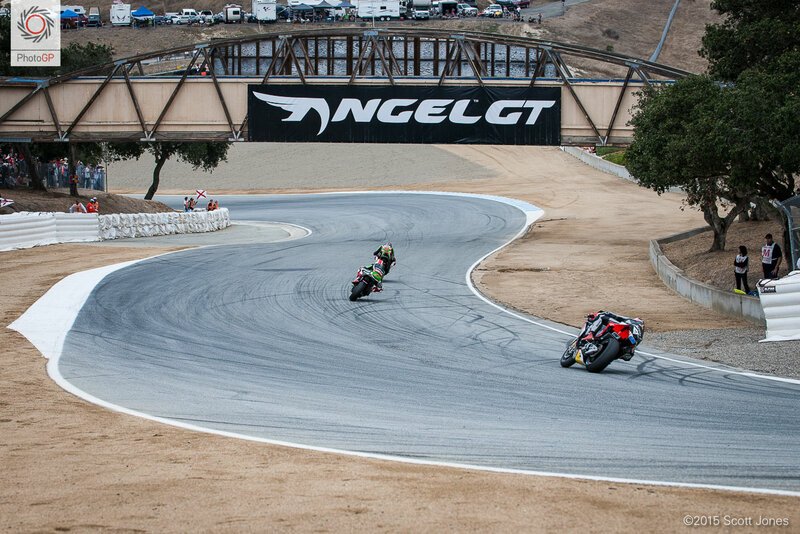 The track stayed dry enough for slicks, so the gamble didn’t pay off. 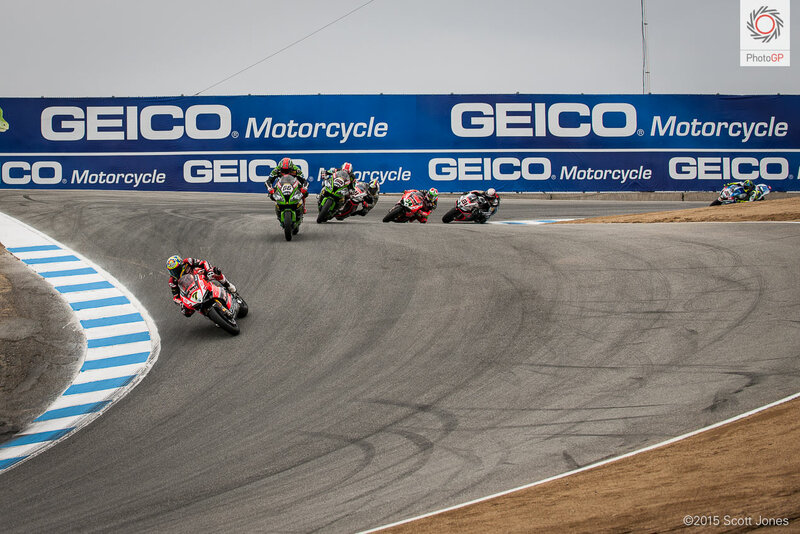 Here’s a stat: Sykes crossed the line in 2nd on every lap of each race. 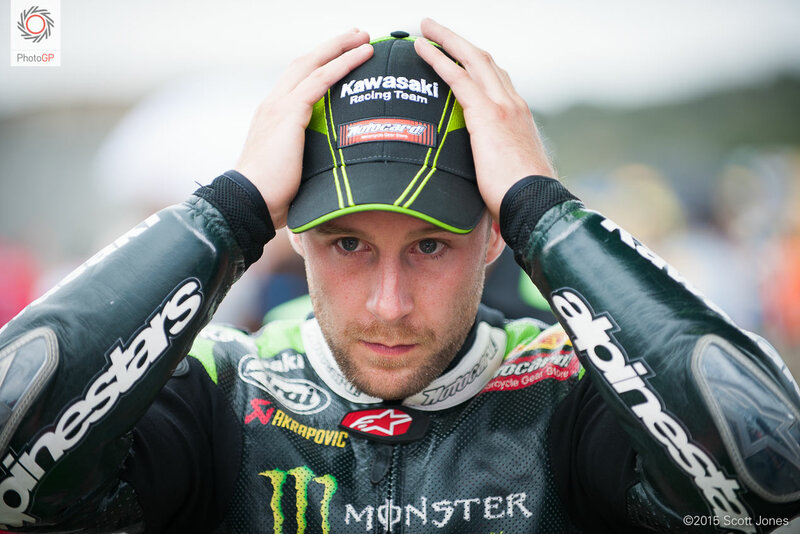 Rea crossed the line in 3rd on every lap of each race. 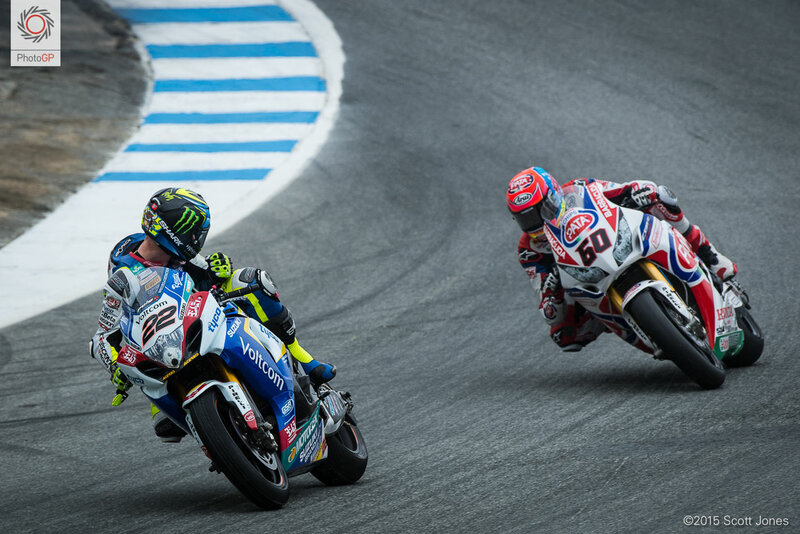 Lowes’ gamble made sense given that a light rain started just as Race 2 got underway. Though the rain flag waved for several laps, proper rain stayed away. With Davies gone, again, Leon Haslam chased the Kawasakis of Sykes and Rea, but Haslam would give up 4th place to a charging Torres. 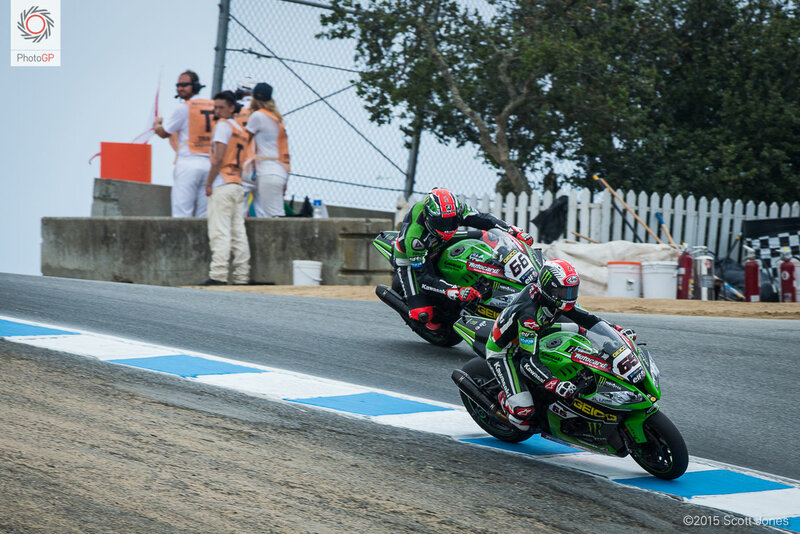 Rea tried to take over 2nd place at the Corkscrew, but the move didn’t stick and Sykes reclaimed the position. Reigning WSS champ Michael van der Mark made up for his qualifying disappointment by moving through the field in each race. He finished 8th in Race 1 and 7th in Race 2.